AFC - 06/19/08 Austria Violates Human Rights? In the early morning of May 21, 2008, armed police units stormed into homes of animal advocates and offices of several animal rights organizations. Doors were rammed open and there followed intimidation through verbal and bodily harassment and humiliation. Ten people were arrested, offices were searched, and equipment and materials confiscated. 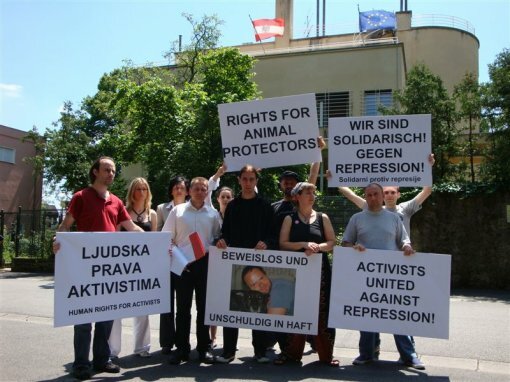 Animal Friends peacefully protested in front of the Austrian Embassy on Thurstay, June 19, 2008 at 1 P.M. in support to the imprisoned Austrian activists. The protest note was also handed out to the ambassador. As justification, the Public Prosecution cites § 278a Austrian Penal Code ("criminal organisation") is given, a law, which is otherwise used solely in relation to smuggling rings and Mafia groups, human trafficking and drug rings! Proof that alleged "criminal organisation" exisits is still outstanding, as are concrete connections that the detainees supposedly have with this ominous organization. It is not acceptable, that a state under the rule of law remands people in custody without convincing argument, while the confiscation of computers, mobile phones, data bases and documents has robbed four NGOs of their functional existence in this manner. One of the detainees is on hunger strike and is placed in a prison hospitals. Amongst many animal rights and protection groups worldwide and the human rights organisation Amnesty International stood in defense of activists. Beause of great reforms those groups achieved in fight for animals rights, like bans on fur farms, the use of wild animals in circuses and battery cages for hens, they probably became a target for those who profit from the exploitation of animals on these fields. The logical conclusion could be that the Austrian authorities are using represssion under the pressure of capitalist profiteers to protect their economic interests. 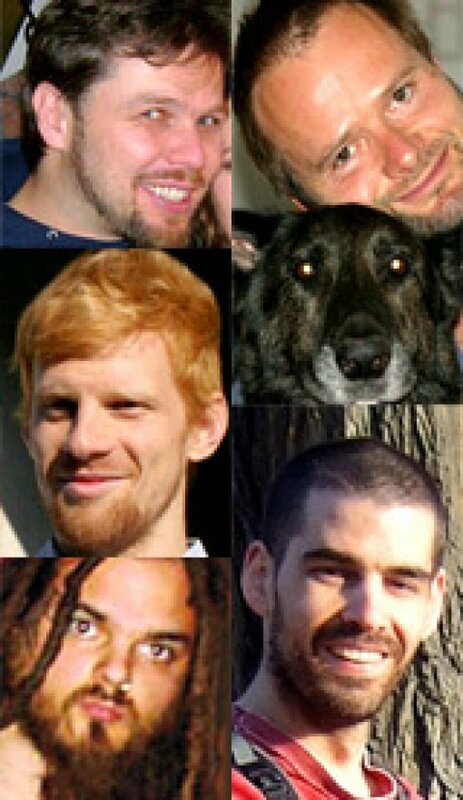 Animal Friends will hand out a note to the Austrian Embassy in which they demand an end to the violation of basic human rights and the release of the imprisoned activists and allow them wait for the next hearing in freedom with their families. 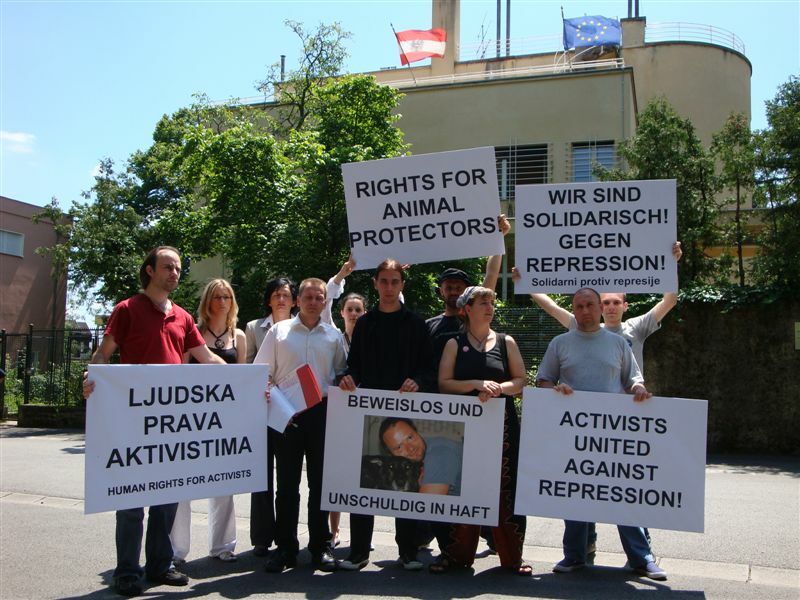 Animals Friends also demands the change of the § 278a Austrian Penal Code, which is being abused for the purpose it was not intended. Please read the statement of Amnesty International here. Please sign the international petition.